Oprah Winfrey recently honored Dream, Girl producers and filmmakers Erin Bagwell and Komal Minhas in the inaugural Super Soul 100 list of awakened leaders who are using their voices and talent to elevate humanity. While working 9 to 5, Erin Bagwell felt the doldrums of corporate America eating away at her soul. But outside of work, she poured her heart into telling the stories of inspiring women on her blog, Feminist Wednesday. With a lifelong dream to make a feature length film, Erin realized ... Más informaciones she could combine her two passions by making a documentary about the amazing women she was meeting. Fueled by coffee, a drive to change the world and a feminist agenda, Erin quit her job to launch a Kickstarter campaign that raised $100,000 in 30 days. Dream, Girl a documentary showcasing the stories of inspiring and ambitious female entrepreneurs was born. 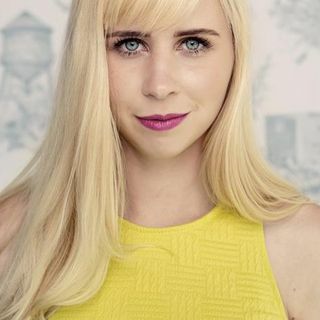 Erin has been featured on Forbes, Vogue, Clinique’s “Smart Ideas Campaign”, The Washington Post, and FOX Business and was named one of the top 100 millennial creatives by Levo League. Visit http://www.erin-bagwell.com. Get the Off the Grid Into the Heart CD by Sister Jenna. on Twitter. Download Pause for Peace App for Apple or Android.